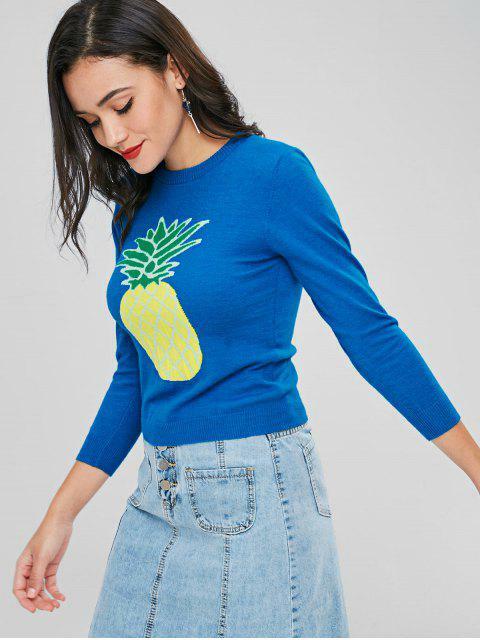 [31% OFF] 2019 Crew Neck Pineapple Sweater In CRYSTAL BLUE | ZAFUL .. I am surprised this sweater has no reviews yet. It is such a cute little sweater and it does run a little snug but perfect for high waist jeans. The color is so pretty just like the picture and I am loving it. The material is not scratchy nor itchy so you don't have to wear anything underneath it. If you like it to be a little more oversized, you should order 2 sizes up if avail. This one fits my body perfectly, and I got a Medium. 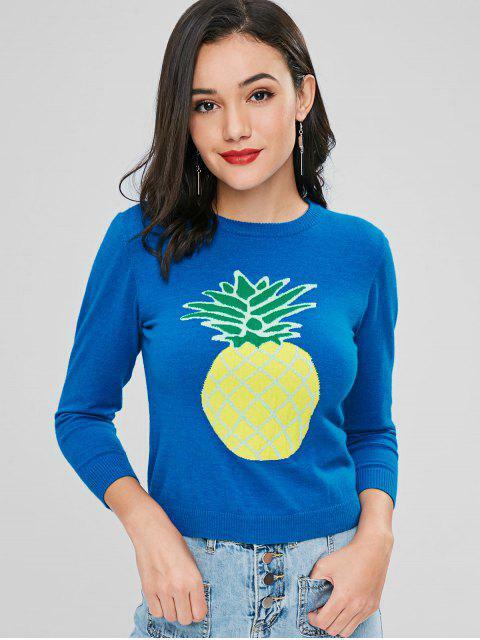 This cozy pullover sweater has an extratropical feel in the bold, vivid pineapple graphic on the front. Crafted from the soft knit fabric, it is the classic crew-collarline style that is as fun as it is comfy. It is the perfect chilly-days go-to piece that will pop this season whether you pair it with jeans or skirts.